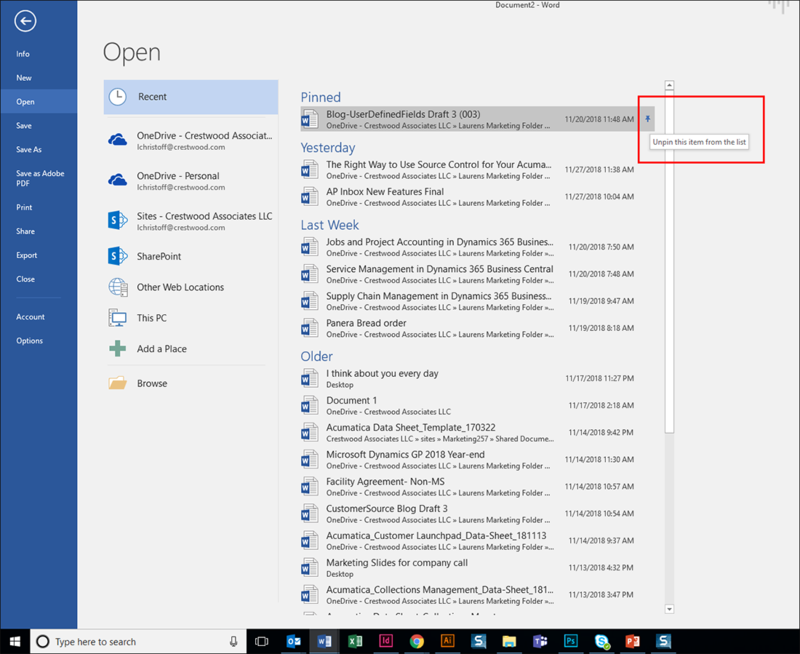 One of my favorite new features of Office 365 – 2016 is the get started quickly with the Start screen. 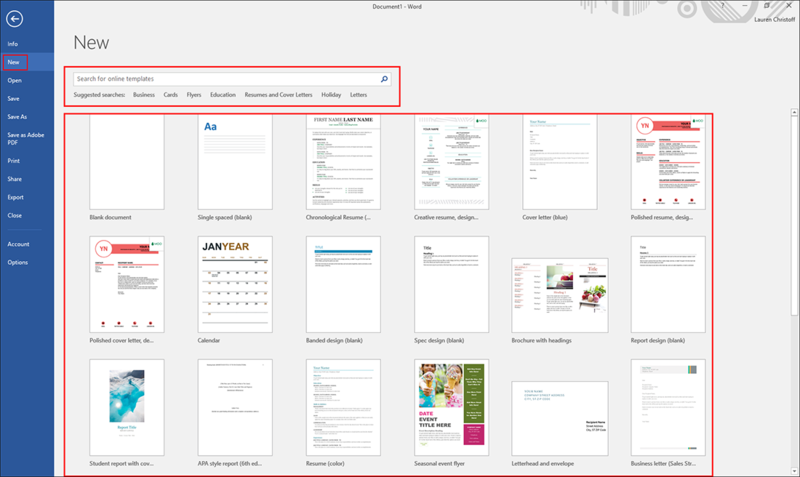 This feature runs across the board with Microsoft Word, Excel, PowerPoint, and Publisher. 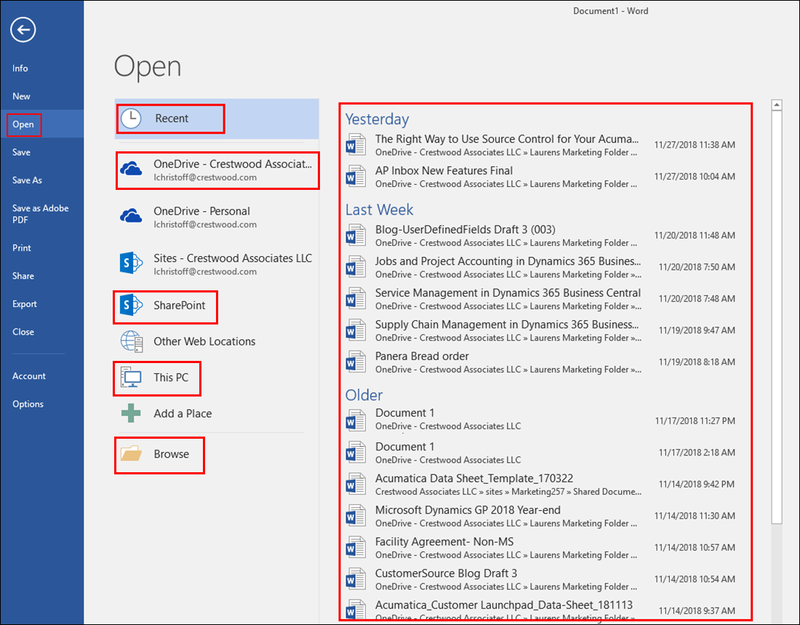 The Start screen gives you quick access to the most recently used documents, or open other documents from local or cloud storage such as OneDrive, SharePoint, This PC, or you can browse another location. 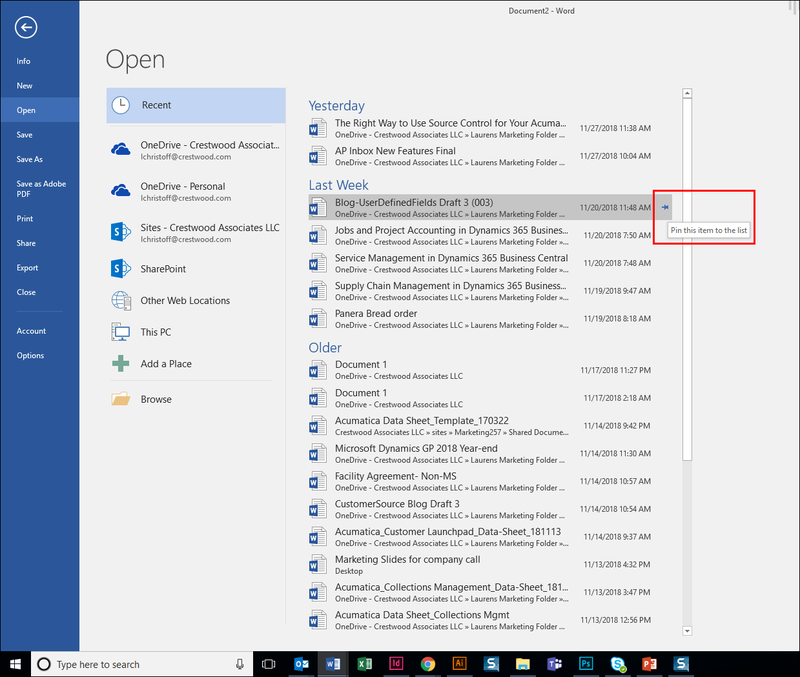 In the quick Start menu, if you find yourself scrolling through your documents looking for a specific file, you can quickly access them when you pin them to the top. Simply click on the pin icon and your document will be moved to the top of the list. No more wasting time searching with this cool new feature. Once you are done working with that file, you can unpin it by simply clicking again on the pin icon to Unpin from the Top. There are also cool, easy-to-use templates that are made available to you instantly. I love using templates, they do most of the set-up and design work for you, so that you can focus more on your content. If you can’t find specifically what you are looking for, you can search online for other templates that can help you get a new project started quickly. All apps listed above include lots of templates for budgets, calendars, forms, reports, presentations, and much more. I hope you find this time-saving tip helpful. For more Office Productivity tips & tricks, subscribe to the Crestwood Blog.